Please use the tabs below to see our course dates. When you decide on a suitable date please use the Booking page. You can complete many of our dive courses on our Diving trips. Discover Scuba and Refresher courses are held on Sunday’s 7.30 – 9.30 pm at Dulwich College Sports Club SE21 7LD, Wednesday’s 8.00 – 10 pm at Clapham Leisure Centre SW4 6DB. 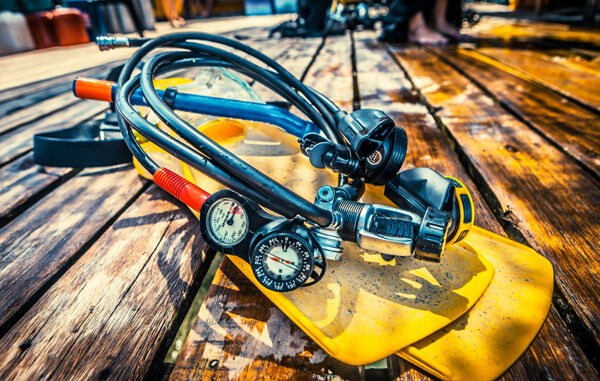 Discover Scuba and Refresher courses are held on Sunday’s 7.30pm – 9.30 pm at Dulwich College Sports Club SE21 7LD, Wednesday’s 8pm – 10 pm at Clapham Leisure Centre SW4 6DB. Pool Dives and theory course enabling you to complete your qualification either with Big Squid or on holiday. The pool dives are held on Sunday’s 7.30pm – 9.30 pm at Dulwich College Sports Club SE21 7LD and Wednesday’s 8pm – 10 pm at Clapham Leisure Centre SW4 6DB. You need to select 5 dates from the list below. The advanced course can be run midweek on dates to suit you if combined with Dry Suit or Nitrox courses. The course takes place at Chepstow, Vobster Quay in Somerset or on one of our trips to Portland. This course is run over 1 evening of your choice from 18.00-22.30 in Clapham or on a Sunday morning of your choice from 09.30-13.30. Please contact us for details on this. Your knowledge development and exams will be completed online in your own time . The Open water training takes place at Wraysbury near Windsor. This course can be completed on a referral basis where you complete your scenarios abroad. We run the non diving Nitrox any time option at the dive centre in Clapham . This comprises an eLearning programme and then coming into the dive centre at any time during opening hours to complete a quiz and analyse some cylinders. You will obtain a full Enriched Air Nitrox certification for this. Please contact us for details . The full course comprises 2 dives with nitrox over 1 day. Please contact us directly for dates. The Wreck Diver course comprises 3 dives over 1 day.These courses are run at Chepstow, Vobster or Portland. Please contact us directly for dates.